Please visit my March of Dimes page here! 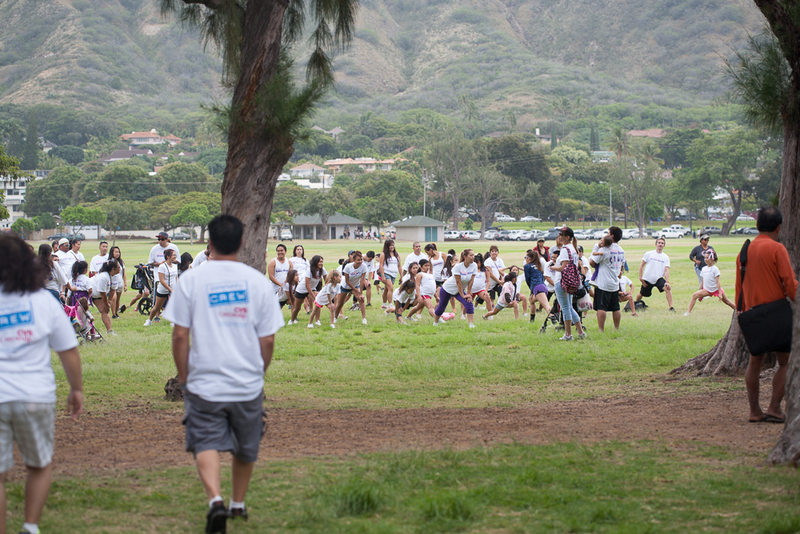 If you haven't participated in the March of Dimes "March for Babies" then you might not know what a huge event it is. The first year Scott's brother joined us, he expressed surprise "there's so many people." It really is huge and an eye opener to how many people are connected to premature birth. There's the huge crowd of preemie survivors and their families. 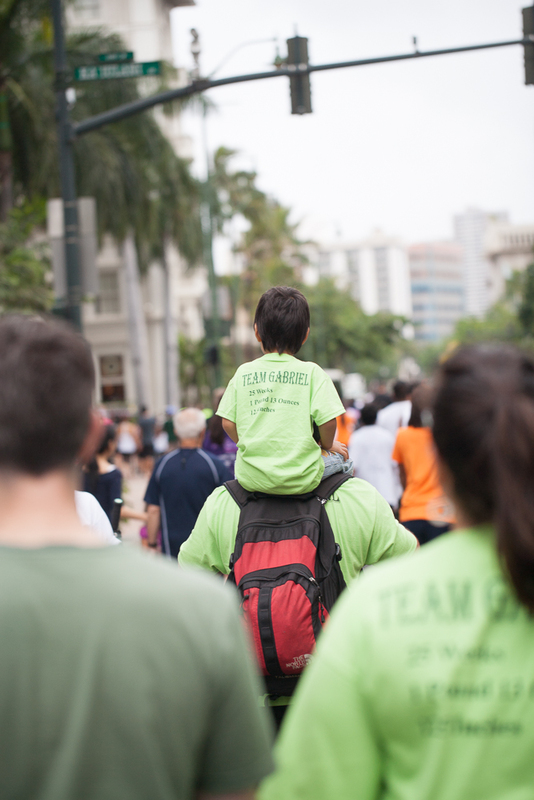 Cute babies in their strollers, young teenagers gabbing with friends, and the survivors in-between, sometimes hoisted on their dad's shoulder for the long walk through Waikiki. 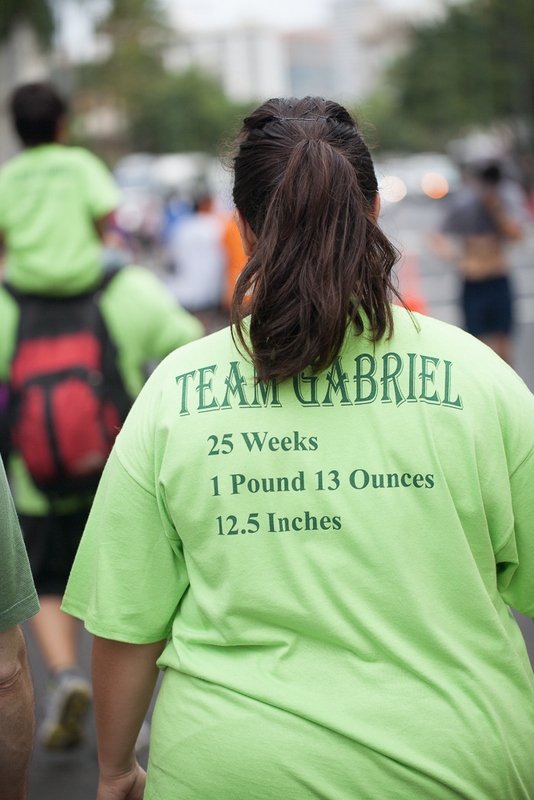 Family members proudly wearing shirts with birth stats emblazoned across them. Numbers that any NICU parent knows so well, you know how much they defined your child's birth, numbers that indicated your child's chance of survival. Two notable factors in a baby's survival, their age and weight. So, as a preemie's parent, you know that everything is measured in weeks and days...and every little bit counts. Babies are typically born between 38-42 weeks gestation. Your due date falls on 40 weeks. You see numbers and you have an idea of how long their hospital stay, how many complications and blood transfusions their little bodies had to endure. And you know the odds, so you know why the word "miracle" is used so often. The other faces in the crowd show the other side of premature birth, the loss. There are those wearing shirts with angel wings around the names. These families and friends are walking with the same joy and pride, but those angel wings tell you there's an empty spot in their midst and in their hearts. You'll also the see the friends rallying to support them. Check out the Tam family and their Team Arianna and Brianna, amazing! Well, if you know us (and since you're reading this, you probably do), then you're connected to both sides of prematurity. The miracle and the loss. What we do have an easier time talking about is the blessing we did get to bring home. She is amazing! I used to say that we gave her 3x the hugs and 3x the kisses because we had all this love to give. And somehow she manages to give us more love and joy. She is 4 years old, just about to turn five this July. 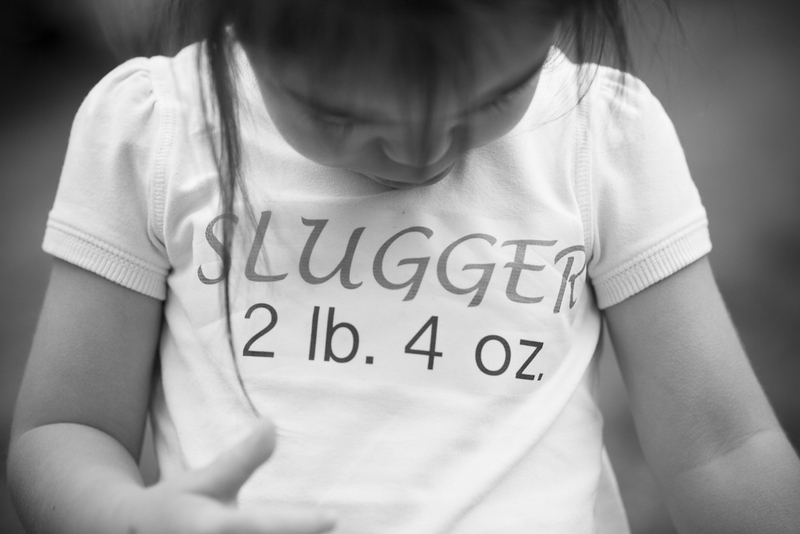 I'll write our yearly Slugger update this week, so stay tuned for that! Besides a sensitive immune system, we've got a pretty good ER routine down thanks to her biannual visits to the ER (Slugger=6 or 7, little sister Sunny=0), she's healthy and happy. I'm so thankful to the research, the medicine, the doctors, the social workers, the amazing nurse practitioners and RNs who took care of our girls and took care of us. The best thing we can think of to say thanks is to pay it forward and continue to strive for more research and support for other families who are just starting their NICU journey now. Thank you for your donations. But, more importantly, thank you for being our support every step and every day. What a wonderful family of 4 girls, a doggie and two wonderful parents. Even though some are not with us physically, they are still with us. So glad to call you my friends .